I’m on a roll with the underappreciated rom coms. Keeping the Faith is a comedy about a pair of boys and their childhood tomboy friend who grow up to be a Catholic Priest (Edward Norton) and a Jewish Rabbi (Ben Stiller), along with their type A hot-but-driven friend Jenna Elfman. I will watch stupid, bland rom coms at least once (I like to eat ice cream after derby practice and veg) – but this one is neither bland, nor stupid. First off, Edward Norton directs, and he has a light touch to match his dry comedic timing. This is also one of the few films where I find Ben Stiller to be completely likeable and attractive – generally, he uses his considerable charisma to play neurotics of some sort. Both men play sincere men of faith who nevertheless wrestle with exactly what that faith costs them and how to be true to themselves while being true to their beliefs. Also – it’s a total love letter to Manhattan. And a great supporting cast (Anne Bancroft, Eli Wallach, Lisa Edelstein, Ron Rifkin, Milos Foreman) doesn’t hurt either. Wake in Fright came to cinematic life in Australia in 1971, but was barely heard from since. That is because the negative vanished. An international search eventually located the negative in 2004, inside a warehouse in Pittsburgh, inside a box marked for destruction. So it’s sheer luck we get to see it today. And what luck! 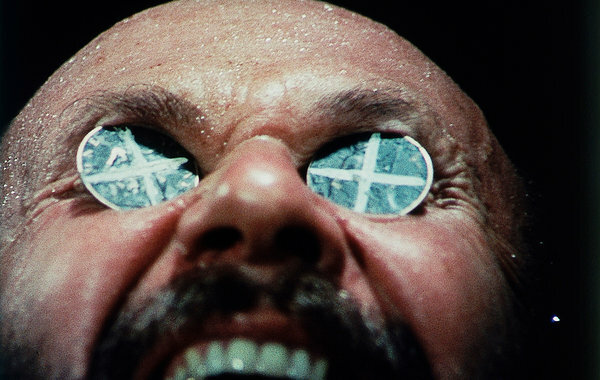 Wake in Fright is an excellent example of the amazing, edgy filmmaking that was happening in Australia in the 1970s. It also has what may be the greatest Donald Pleasance performance I’ve ever seen. Wake in Fright is the story of a young bonded teacher who has a teaching assignment in a desolate, remote town in the middle of the Australian outback. He is determined to buy his way out of his assignment someday so he can live a fuller life, but for the time being, he just wants to go on vacation in Sydney. On the way to catch a plane, he winds up stranded in another remote outback town, out of money and out of luck thanks to a local gambling ring, booze, guns, and a hypnotic Donald Pleasance. The rest of the film spirals downward in a horrific haze, sort of like a dusty, no-budget, 100%-more-kangaroos version of Apocalypse Now. If you have a taste for the dark films of the 1970s and/or the late great Donald Pleasance, this one is a real treat!